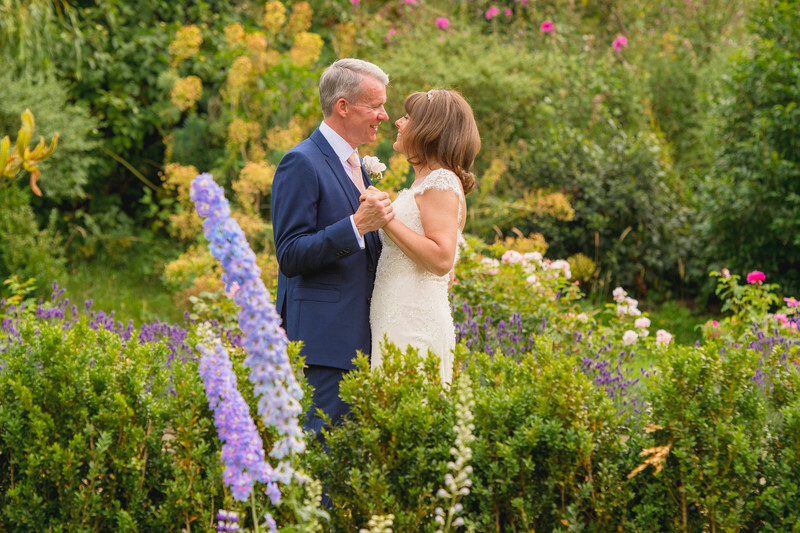 Debbie and Keith got married at, and had their reception at one of my favourite wedding venues - Deer Park Hall in Pershore. Debbie had decided to get ready at home with her bridesmaids, and arrived at Deer Park with her hair and makeup already done - The only thing she had left to do was put on the wedding dress. I spend the latter part of the morning with Debbie and her bridesmaids as they went around the venue putting all of the finishing touches in place. When it came time to get the dresses on, I stepped into the next room until everyone was dressed again. 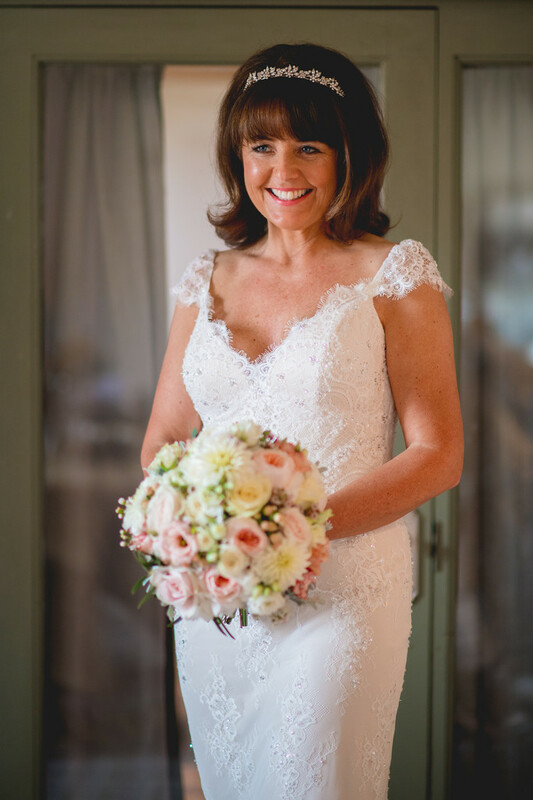 When I've spoken to my clients after their wedding, most brides tell me that the time in the morning that they actually felt like a bride, wasn't when they put their wedding dress on, but when their wedding flowers arrive. It's always an interesting time of day; brides who are perfectly relaxed in the morning might become nervous when the flowers arrive. Brides who are tired or anxious might get excited when they see their bouquet for the first time. There's usually a big reaction that the opposite to what people have been feeling all morning, and it can get quite emotional. She couldn't help but give a massive grin to her daughter who was in the room at the same time, and I was there to capture this joyous occasion. Location: Deer Park Hall, Pershore.